Justin Bieber backstage at the 2015 European Music Awards in Milan, Italy. 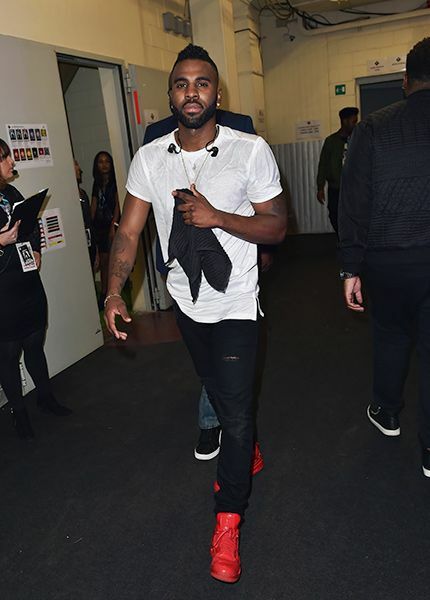 Jason Derulo backstage at the 2015 European Music Awards in Milan, Italy. Ashley Benson and Shay Mitchell backstage at the 2015 European Music Awards in Milan, Italy. Rudimental backstage at the 2015 European Music Awards in Milan, Italy. Novak Djokovic backstage at the 2015 European Music Awards in Milan, Italy. The EMA presenter costume for the 2015 European Music Awards in Milan, Italy.